March 21, 2011 -01:19 The Schuylkill Haven Fire Department was dispatched to 401 University Drive, Rest Haven Nursing Home for a possible structure fire. Chief 723 (Donatti) quickly arrived on scene and was met with light smoke coming from an unknown source. Crews searched the building and used Thermal Imagery Cameras to check for heat. Fire personnel were also sent to the roof to check all utilities that may have been malfunctioning. All Schuylkill Haven units remained on scene for approximately 1 hour until maintenance arrived. Chief 723 (Donatti) was in command. March 20, 2011 – At 19:51 The Schuylkill Haven Fire Department was dispatched to 26 E. Williams Street for a possible house fire. Crews quickly arrived on scene and extinguished a small fire located in the oven. More information coming soon! March 20, 2011 – At 14:25 Station 2 was dispatched to 1 Orchard Street, Pine Grove HH&L for a move-up assignment, as Fire Districts 58 and 21 were on the scene of a basement fire. Station 2 stood-by for approximately 45 minutes until being released. 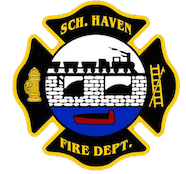 March 20, 2011 – At 11:09 the Schuylkill Haven Fire Department was dispatched to 250 Route 61 South, Cardinal Systems Inc. for an automatic fire alarm. Crews arrived on scene and searched the building for anything that may have caused the alarm. It was then determined to be a false activation and all Schuylkill Haven units were placed avaialble. Chief 730 (Reed) was in command. March 20, 2011 – At 10:35 Chief 730 (Reed) requested an Engine from Station 2 to assist with an alarm sounding at 330 Dock Street. Crews arrived on scene and used air monitors to make sure the residence was clear. Chief 730 then cleared E-732 from the scene. March 19, 2011 – At 16:21 Stations 2 & 4 were dispatched to the area behind Tamaqua Cable for a reported brush fire. Crews arrived on scene and found a large brush fire in a wooded area. Crews used handlines, Indian tanks, and rakes to outten the large fire. All units were on scene for approximately 1 hour. Station 1 and an Engine from Cressona Fire also assisted at the scene. March 17, 2011 – At 11:36 Stations 1 & 2 were dispatched to 521 South Garfield Avenue for smoke in a residence. Chief 722 (Sattizahn) was the first on scene and determined the source of the smoke to becoming from a candle. Crews arrived on scene and assisted Chief 722 with ventilating the structure. March 13, 2011 – At 12:28 Stations 1 & 4 were dispatched to the area of 318 W. Adamsdale Road, for a motorcycle accident with injuries. Chief 735 (Motko) arrived on scene and found a motorcycle had run off the roadway and one injured patient. Crews assisted EMS and PSP at the scene, and removed debris from the roadway. All Schuylkill Haven units were placed clear and available after 20 minutes. March 20, 2011 – At 16:00 The Schuylkill Haven Dive Team was dispatched to the Kernsville Dam in (Tilden Township) for a possible water rescue involving multiple victims. Squad 734 and Chief 735 (Motko) responded to the scene with multiple boats and manpower to assist Berk Company 61 (Hamburg). The Dive Team arrived on scene and was requested to stage in the area of the command post on the boat launch side of the dam. Once on scene water rescue personnel stood by as a safety team while personnel from Hamburg and Shoemakersville investigated and search for the possible victims in the water. It was then determined that there were no victims in the water, and debris from the recent rainfall and all Schuylkill Haven units were placed clear and available by command. On Thursday, March 10, 2011, a massive rain stormed soaked the eastern part of the country dumping almost 4 inches of rain in Schuylkill County and flooding most of the rivers and waterways in our area. The SHFD was kept extremely busy during the night with multiple pump details in the borough. At 21:18 The Schuylkill Haven Dive Rescue and Recovery Team was dispatched to 7 Geary Wolfe Road in Pine Grove Township to assist F.D. 21 who was already working on scene of an occupied vehicle stranded on a flooded roadway. Squad 734 and the double boat trailer went enroute and was advised by command to expedite due to the vehicle becoming submerged. Squad 734 encountered hazardous conditions en-route due to standing water on the roadways. While en-route Pine Grove command advised 734 that the patient was removed from the vehicle but needed the dive team to continue in to confirm that there was no one else in the vehicle. Once on scene it was determined by witnesses that there was no other occupants and that the dive teams services were not needed. Information from Schuylkillhose.com. Then, at approximately 02:36 early Friday morning, Station 4 was dispatched for Wagon 736 to respond to 500 Railroad Street, Gilberton Borough, to assist with pumping water from the town’s flooded areas. Crews from Station 4 assisted Gilberton for approximately 7 hours before returning home around 09:00 hours.